What Are The Best Headphones For Electronic Drums? The winner of the best electronic drum headphones goes to Audio-Technica for this powerful and versatile set of headphones. They are tuned for an enhanced low-frequency performance that packs a huge punch when used together with electronic drums. These Audio-Technica ATH-M20x headphones are assembled with high quality features to provide a comfortable, crystal clear listening experience. They are designed and engineered to be used within recording studio environments and offer an incredible level of sound detailing. In operation these headphones sound excellent. The 40mm drivers and rare neodymium magnets deliver sharp highs and pummeling lows that truly bring electronic drums to life. 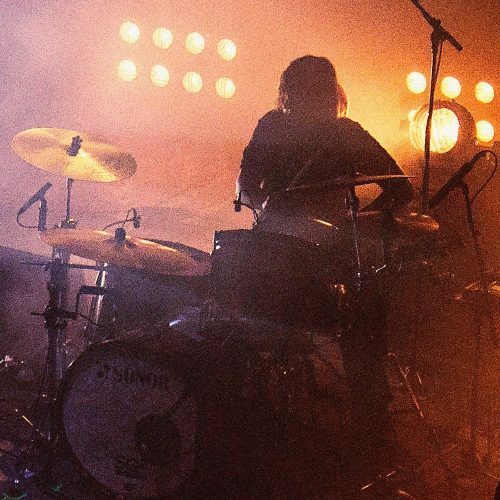 The kick drum is full bodied and punchy, whilst the cymbals are clear and expressive, and all of the nuances of the snare drum are captured with excellent detail. These headphones are rugged and very well built. Not only are they great headphones for electronic drums but also they are versatile enough to be used as regular headphones and to be used as studio reference monitors. For the money these are the best headphones for electronic drums available. They are engineered to deliver the best sounds and that will enhance your drumming experience! In a close second we have these excellent Alesis DRP100 electronic drum headphones that are specifically designed and voiced for electronic drum reference monitoring. This means that they offer accurate and powerful sounds for electronic drum kits. These headphones are designed to bring electronic drum sets to life. They feature 40mm full-range drivers that deliver deep low end and crisp high frequencies ensuring that every part of the drum set is heard with clarity. The over-ear design of these headphones provides extreme sound isolation and outstanding comfort, meaning you can practice without any distractions for longer. The sound isolation is highly effective and really does a good job blocking out external noise whilst playing. What I like most about these drum headphones is their full range of sound in conjunction with effective noise isolation. 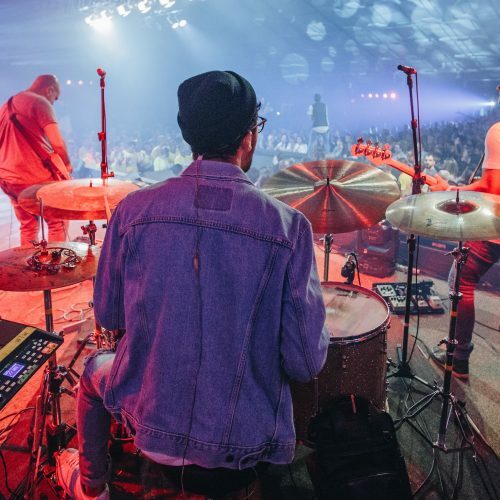 They are expertly voiced for electronic drums and purposely built to capture all the nuances and dynamics from electronic drums. These are the best headphones for electronic drums for you if you want ultimate noise isolation. They deliver premium sounds from to the powerful 40mm drivers, and they are perfect for rehearsing with. For the mid-range price point, these are some of the best headphones for electronic drums available that are specifically designed with the drummer in mind. Here we have a pair of professional Sony headphones that deliver an outstanding performance with incredible sound detailing. These are the best headphones for electronic drums available for delivering high quality, clear sound reproduction. These headphones are excellent for accurate monitoring as they offer crystal clear highs, present mids and a deep low end that allow for expressive playing on electronic drums. These professional stereo headphones are ideal for all manners of sound monitoring in professional studios. They are an immensely popular choice amongst professionals due to their rugged design and powerful 40mm drivers. For the price these Sony MDR7506 headphones offer an unbeatable sound performance with crisp and clear detailing. The closed ear design offers both comfort and a good level of sound reduction from external noises. These are the best headphones for electronic drums if you are looking for unmistakably high sound quality and performance. These are used by pros around the world for all manners of sound recording and they are also very comfortable and lightweight, making them easy to wear for long periods of time. Up next we have a fantastic pair of headphones that make an excellent choice for electronic drum sets. These are packed with high quality features that provide rich, accurate sounds and a comfortable listening experience. These Behringer HPS3000 headphones are made with high-quality, rugged components to ensure maximum comfort and durability. They feature optimized oval-shaped ear cups that contain high-resolution cobalt capsules to deliver a wide dynamic range of sounds. The very best thing about these headphones is their incredible price. You really do get fantastic value for money – offering a performance that far exceeds what their price may suggest. They have a wide frequency response that produces deep, resonant bass and transparent highs. The sound reproduction for the price is remarkable and they will really help bring your electronic drums to life! For the money, these are the best headphones for electronic drums on a budget. 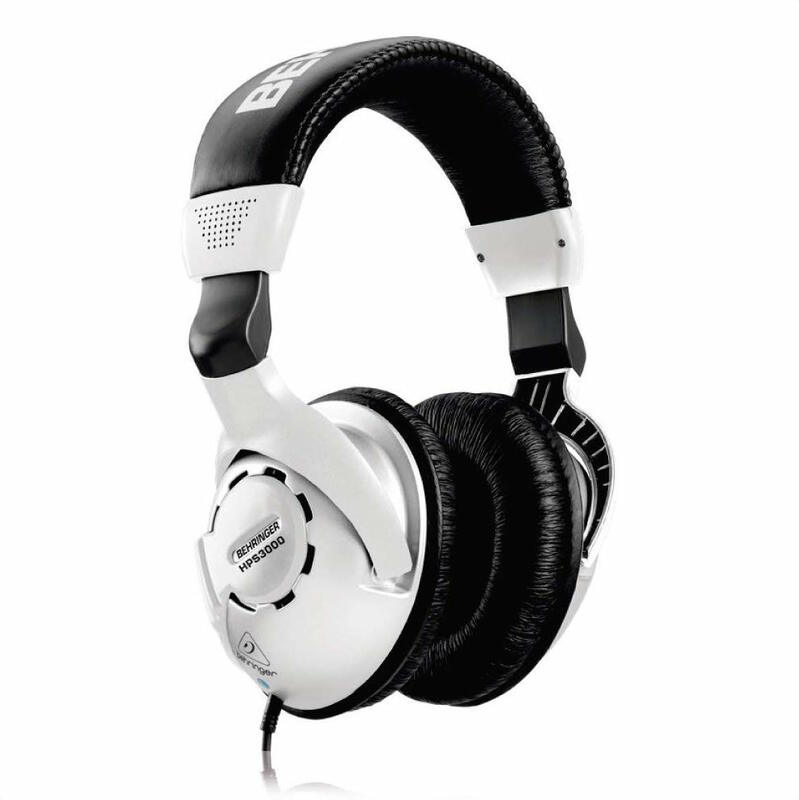 They are durable, comfortable and deliver detailed sounds. They have everything you want from a set of headphones and at an unbeatable price. Next up on our list we have a quality pair of drumming headphones produced by Roland – the king of electronic drums! These headphones are equipped with high performance 40mm drivers that deliver rich, premium sounds. These headphones are lightweight and really comfortable to wear. They provide a natural, flat playing response that is balanced across the frequency spectrum. They have a good dynamic range across all the frequencies to enable you to hear everything in full. Roland is the largest and most experienced manufacturer of electronic drums, and these headphones are designed for use with their electronic drum sets. In operation these headphones provide a good quality sound and they are the ideal weight for practicing with. These Roland RH5 electronic drum headphones deliver rich, premium sounds without you having to break the bank. These are a great choice for you if you want a pair of the best headphones that are specifically designed for use with electronic drums. Lastly on our list we have a set of drumming headphones that offer an enormous level of sound reduction of external noise. These Vic Firth headphones reduce noise levels by 25 decibels so that music can be listened to and played along with at safe volumes. It also eliminates unwanted distractions so you can truly focus on your playing! These headphones are ideal for both electronic drums and acoustic drums. They feature a large driver within the ear cups that delivers a powerful low end, clean mids and clear highs for a clear, powerful sound. These are the best headphones for electronic drums to reduce significant levels of external noise. These are the ideal choice for you if you live in a noisy environment and you want to knuckle down and rehearse without any distractions. Electronic drum headphones are essential for your electronic drums to be heard. You can use an amp, but amps are far noisier and also expensive compared to headphones. Headphones also give you more flexibility and allow you to play drums without disturbing other people. 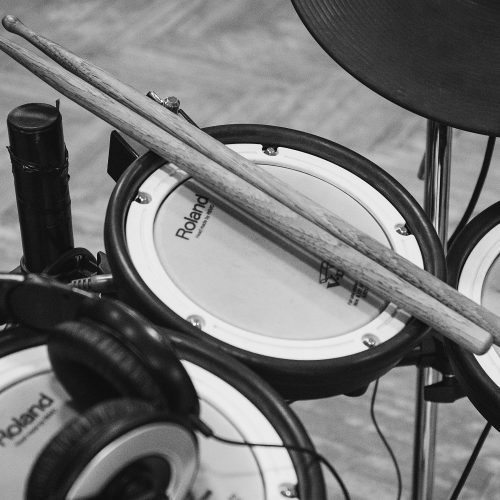 Because the sound you hear will be dependent on the quality of your electronic drum headphones, it’s important to consider what you can afford so you can achieve the best quality sounds for your budget. You will want a pair of electronic drum headphones that are comfortable to wear so that you can play for extended periods of time, as well as offering exceptional sound quality so that you can hear every nuance of your playing with clear detailing. Do I Need Headphones Designed For Electronic Drums? You do not need to buy headphones that are exclusively designed for use with electronic drums. All good audio manufacturers offer over-ear headphones that perform as well, if not better in terms of sound and function. The Audio-Technica ATH-M20x headphones are studio headphones that deliver an unmistakably high quality of sound that works extremely well with electronic drums. They were not exclusively designed for use with electronic drums, but it just so happens they work great with them. You will, however, need to look for specifically designed electronic drum headphones if you require noise isolation. This means that you want to block out external noise whilst you are playing, so you can focus on your practicing without experiencing any distractions from the outside world. A durable, rugged design with solid components. You don’t want them to feel cheap or flimsy, because they will most likely break within a couple of months. Good sound isolation. Even headphones that aren’t specifically designed for electronic drums will combat external noise with ear cups that contour around your ears to allow you to focus on your playing. Premium, rich sound detailing and a wide frequency response so that you can hear every part of the drum set with accuracy and crisp definition. Large drivers for powerful, punchy sounds and the ability to be played loud. Comfortable ear cups and headband that won’t irritate or annoy you whilst playing. A ¼ inch adapter so you can connect your headphones to the electronic drum set module. 5 Best Electronic Drum Amps To Amplify Your E-Kit! 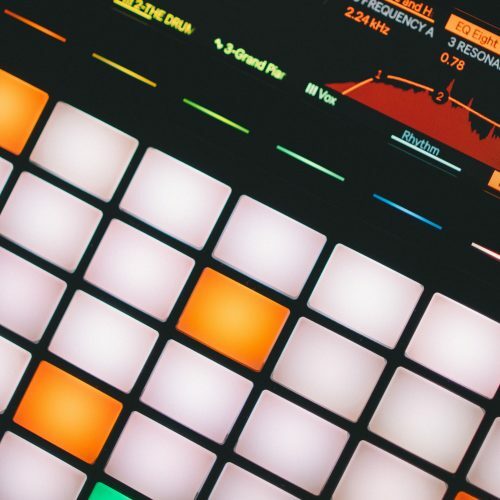 5 Best Electronic Drum Pads For Live Performances! 8 Best Drum Machines For Creating Unique Beats!